IMPACT is formed in Naberezhnye Chelny, the Republic of Tatarstan, by three friends - Yuri, Viktor and Sergey. 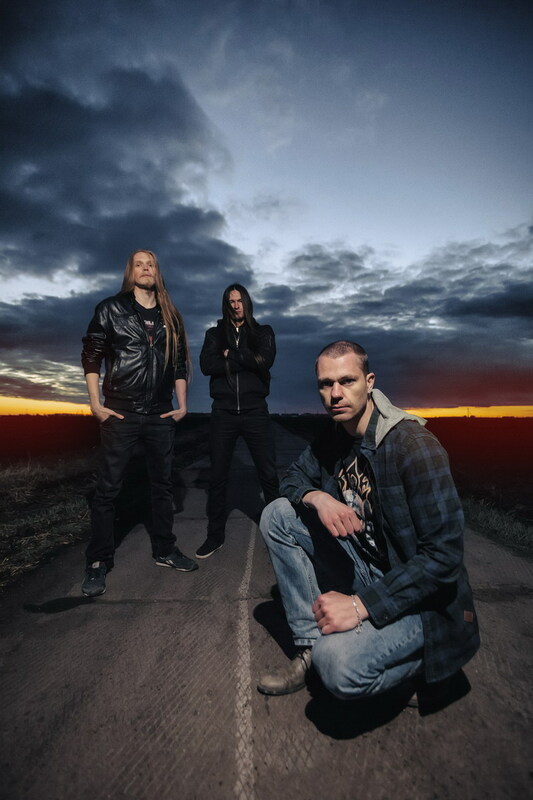 The creative career of the band begins with recording and release of a debut album titled "Syny Vojny" (The Sons of War, released on May 9, 2015). Each band member played or plays in other bands, such as PRESTOL, GRAI, RUYAN AMEDERIA etc. and is experienced in recording and performing live. However, IMPACT is not just a side-project of the members of the abovementioned bands - it is a stand-alone project. Two years earlier Yuri (who has always been a fan of thrash metal) begins composing the first songs for the debut. It is not his first experience in composing of such songs. However it is the first time when he employs a serious and thoughtful approach, creating beautiful arrangements and making heavy-metal songs sound "thrashier". Soon Viktor (the former member of a local band THRASHHOLD) joins the process. The guys compose 11 songs, 9 of which are released on their debut album two years later. Despite high quality of the material composed, for certain reasons the recording of the album in Viktors Amplogia Studio begins only in late 2014 and early 2015. In May, 2015 the album becomes available on the Internet. Six months later it is released by one of the most famous Russian metal labels, FONO Ltd. In June, 2016 IMPACT record a "Skrytyi Varg" (Covert Enemy) single and release it on the Intemet. Between 2016 and 2018 the band records the second album at Amplogia Studio. The recording process is once again supervised by Viktor Buznaev. "Voennyj Ritual" (Military Ritual) is released on May 10, 2018 in CD format through joint efforts of Metal Race and More Hate Productions. Sergey "Magnus" Kuzmin - bass.